IZT’s test platform comprises a wave field synthesis facility which is able to emulate any electromagnetic environment in an anechoic measuring chamber (i.e. under laboratory conditions) in a realistic and, above all, accurately repeatable way. For multi-antenna and multi-frequency systems it is decisive to emulate the multipath propagation of a real radio channel, the interference situation and the multi-user scenarios realistically in the chamber. IZT GmbH’s powerful technology permits the development and testing of a multitude of wireless transmission systems in the frequency range 700 MHz to 3 GHz (limited: 30 MHz to 18 GHz) via the air interface, also called Over the Air (OTA). 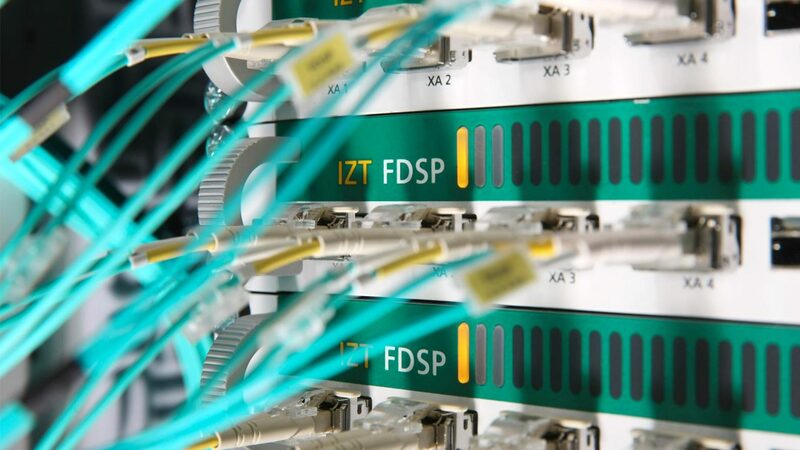 The test environment developed at FORTE together with IZT GmbH is the only one of its kind in the world. This facility excels in its great flexibility regarding possible fields of application in communications technology. By comparison with conventional tethered test solutions, IZT GmbH’s innovative development permits the integration of all kinds of possible interferences, but above all antennas, as an essential part of the communications system. IZT GmbH, a spin-off of a renowned German research company, has many years of experience in setting up test environments for scientific purposes. We would be happy to support your research with our innovative technology.